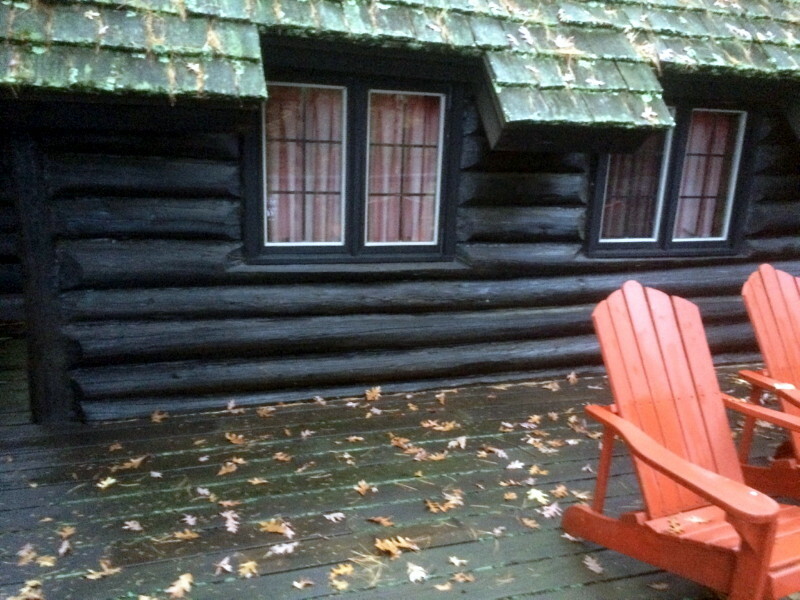 Although we are a long way from the “dog days” of summer – sitting out on beautiful decks, watching a loon swim by or a whitetail deer off in the woods – it’s never too early to read up on log home tips. At this time of year, snow and ice is piling up on our decks, making it easy to forget about those summer days. In going through a few photos from the past season, I came across these two pictures that made me think about decks on log homes and cabins. It’s very important that decks be correctly attached to a log home so both the deck and more importantly, the log home, stay in good shape. Every year, we see log homes with deck-related problems. Almost all of these problems could have been avoided if the attachment of the deck to the home was carefully thought through in the beginning. … until we go under the deck and find the log rot. The log is actually falling apart because it’s so rotten! Decks create a flat surface at the bottom of the log wall and are often the cause of what we call “splash back” problems, which is when water from the roof falls onto the deck and splashes back onto the logs. 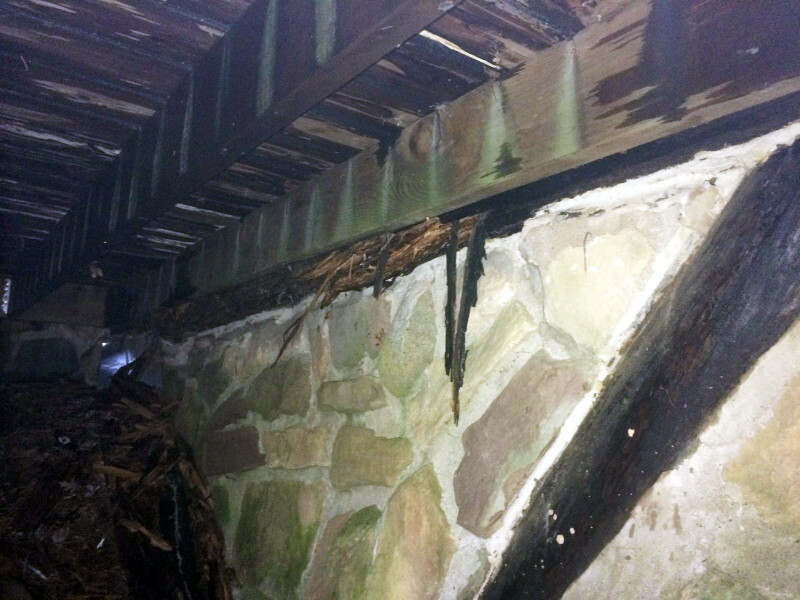 Over time, this additional exposure to moisture can cause the logs to rot. What to do? If you are adding a deck, design it so that it attaches to the wall below the bottom-most log in the wall. This will give the water someplace to go other than on your logs. • Install rain gutters above the deck to reduce the amount of water splashing on the deck. • Cut flashing into the logs to keep water off the logs. As the winter continues, it is a good time to think about this and other elements of log home care. Be prepared in the coming year to address “deck splash back” or other issues of log decay on your home.